He smiles and gently brushes the curls from her eyes; she looks at him like he is the best thing on earth. Their love is so obvious. These two live in Park Slope, Brooklyn like I do, so we started at a local favorite: Cafe Dada. After, we walked to Prospect Park to stand under "their" tree where they gather with friends after Saturday shabbat services on nice days. 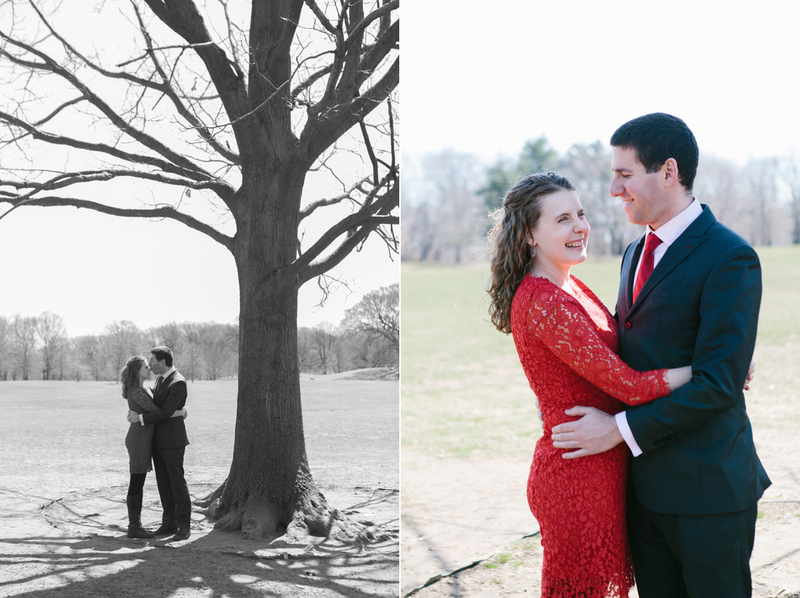 They opted for dressed up engagement photos, and I love that her fire red dress makes her "pop" against the scenery. I can't wait for their wedding in May!